Slime has been the kids’ activity most on my mind recently. Why? I don’t know, why not? It’s science, kind of artsy, sensory and seriously fun for kids of all ages (really – my 13-year-old even left his Xbox for enough time to help me make a batch, and play with it!). Before you get started, let me say that this isn’t one of those edible recipes. While liquid starch is mostly corn starch, castor oil, various soaps and a few chemicals, it’s not safe to go in your child’s mouth. Even my 13-year-old (who is used to my making edible play dough and clay recipes) asked, “Mom, can I eat it?” No! No, no, no, no and no! Some kids can’t help themselves and like to explore through their sense of taste. If that’s your child, hold off on making slime. Also, any bowls, measuring cups and spoons that you use while making slime should become art-only utensils. Don’t reuse them when cooking later on. 1. Measure and mix equal parts of water and glue in a bowl. I used a ½ cup measurement. The bottle of glue that I bought divided roughly into two half cups, so it seemed like a good size. If you want a thicker, denser slime, use less water. Don't forget- this is the perfect time to teach your child some math and science lessons! Let him do the measurements and mixing. Before adding the liquid starch, ask him to predict what will happen. 2. Stir the water and glue thoroughly. 3. Measure the liquid starch. Use the same measurement that you made for the water and glue (in this case it was ½ cup). 4. Pour the liquid starch into a separate bowl. 5. Mix the water and glue in slowly. I started with a spoon, then quickly switched to my own hands to get a more thorough mix. 6. Sprinkle in the glitter. 7. Mush, turn and flop the slime and glitter around to mix it up. Now you’re ready to play! The longer the slime sets, the firmer it gets. Are you looking for more slimy recipes? Follow my Pinterest board for all kinds of ideas! Follow Mini Monets and Mommies's board Slime, Play Dough and Goo on Pinterest. 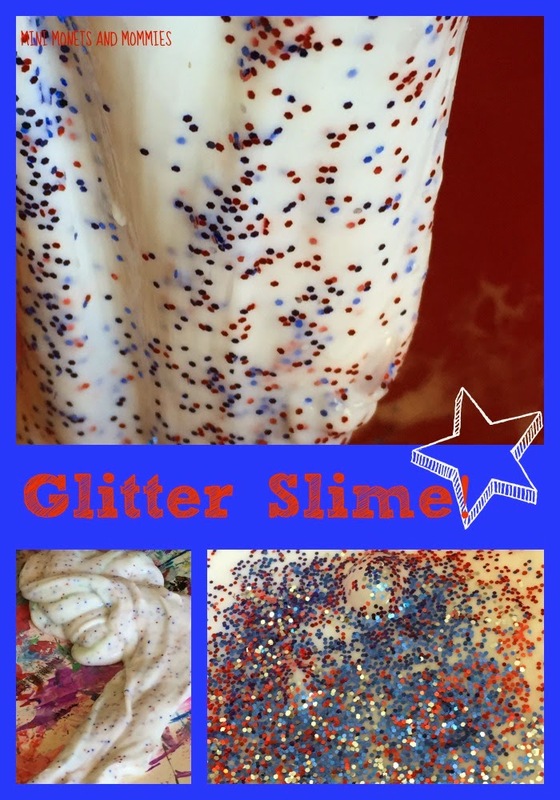 Because nothing says Independence Day like a little slime, lol! I love the glitter in it! 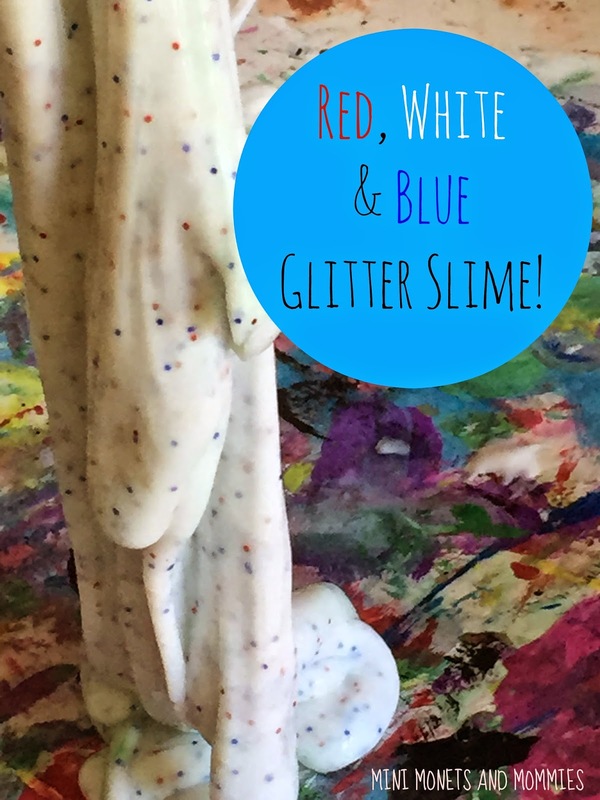 Awesome slime! 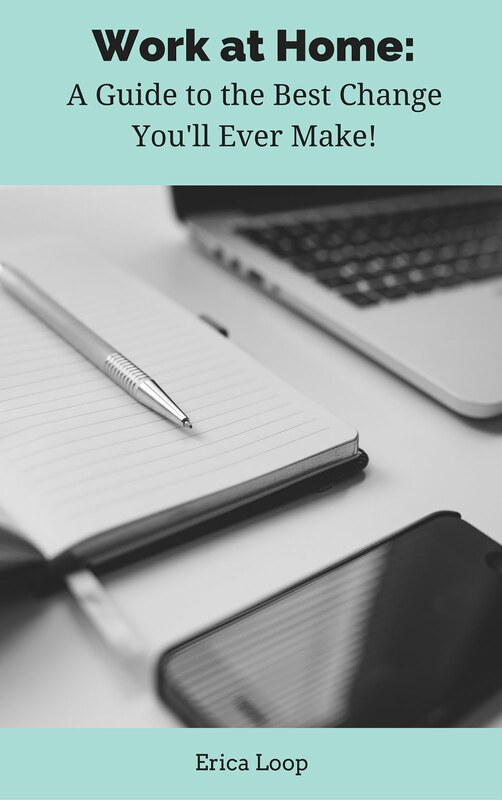 Thanks for linking up at the Thoughtful Spot!